Shiva Das and Mercy Ananda both held a longtime interest in and exploration of spirituality and astrology before meeting twenty-five years ago. Their union has helped them to focus on the spiritual way of viewing astrology and life. Originally a side interest to their involvement in family yoga, astrology has evolved for them into a professional endeavor and way of life that has grown to complement their interests in yoga and yoga philosophy. 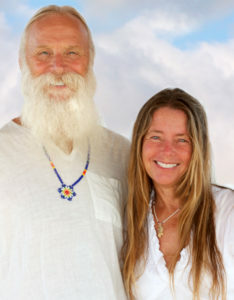 Das and Ananda currently live and work at yoga teacher training institute Yandara in Baja, Mexico where they offer astrology readings daily. Available now at book sellers everywhere!